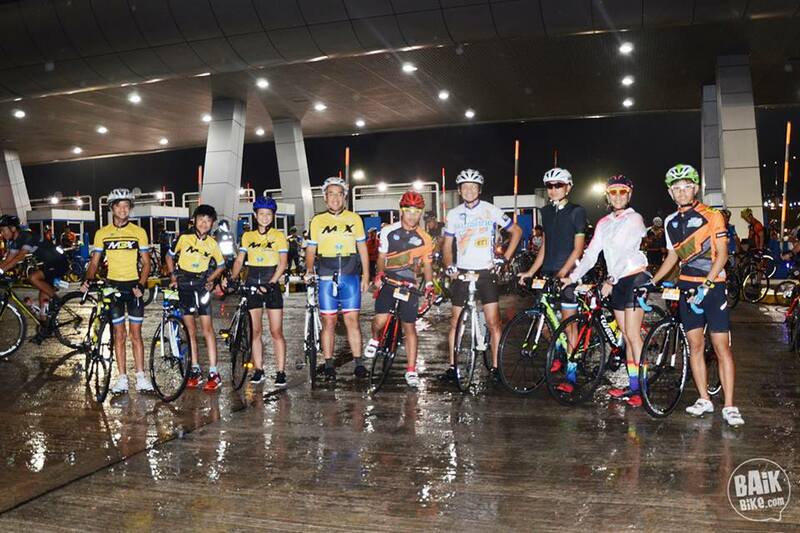 More than 4,300 cyclists of all ages pedalled into the night at the RHB Shimano Highway Ride @ LEKAS event to take on Malaysia’s No.1 closed highway night cycling challenge. The race was flagged off by the Yang Berhormat Dato’ Sri Haji Fadillah bin Haji Yusof from the Ministry of Works at the Kajang Selatan Toll Plaza on the Kajang-Seremban E21 (“LEKAS”) highway. Held in collaboration with RHB Banking Group and Shimano as the title sponsors and Lebuhraya Kajang-Seremban Sdn Bhd (a subsidiary of IJM Corporation Berhad’s Toll Division) as the venue sponsor. LEKAS was also co-organiser of the event, together with GoSportz Sdn Bhd. Young cyclists from Team M3X (left) at the RHB Shimano HIghway Ride 2017. 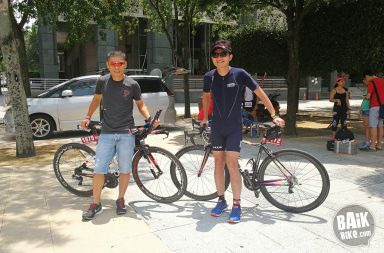 Starting at the Kajang Selatan Interchange up to Paroi Junction, the event was kicked off by 160 young riders as part of an effort to encourage young riders to experience group riding in a safe and controlled environment. Subsequently, the 105km category was flagged off followed by the 78km category. Riding on undulating terrain, participants faced the test of a 4km uphill climb at the 30km mark of the route. 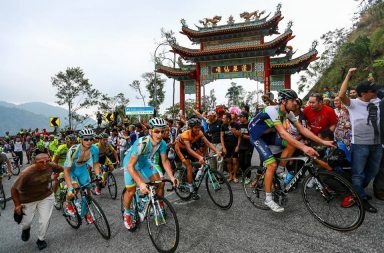 The first cyclist in each category to reach the goal at the end of the climb was crowned “King of the Mountain” (KOM). 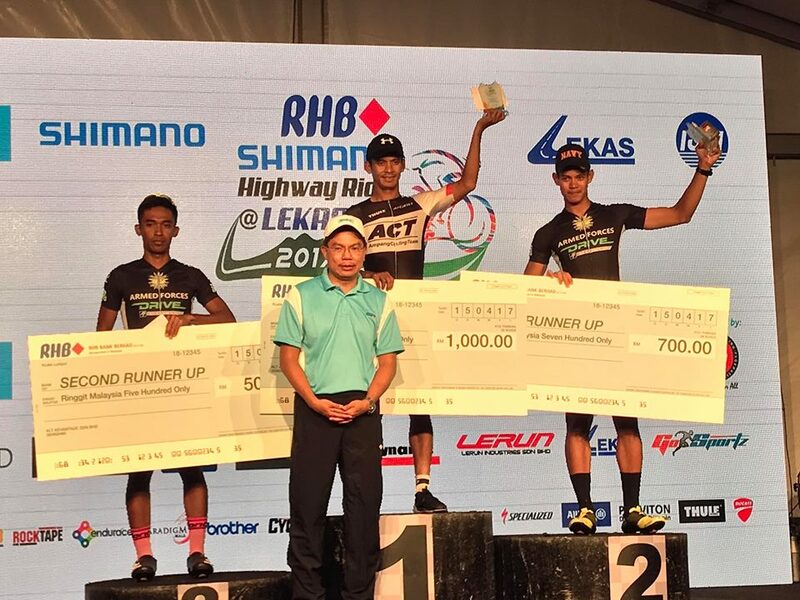 The Ampang Cycling Team (ACT) stole the limelight when they reaped 9 titles and podium prizes with Amir Mustafa winning the coveted 105km Men’s Elite title. 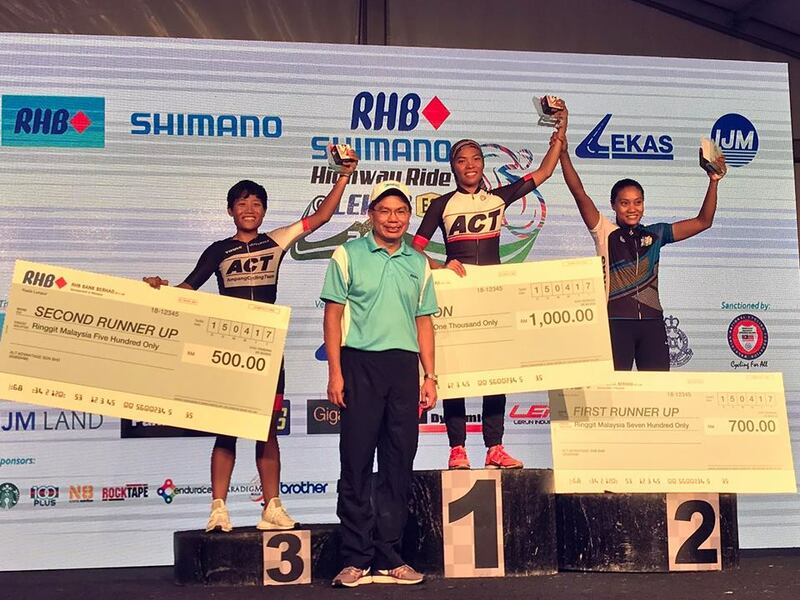 Teammate Nur Aisyah won the 105km Women’s Open and the KOM, and shared the podium with fellow teammate Nurul Suhada winning third place. 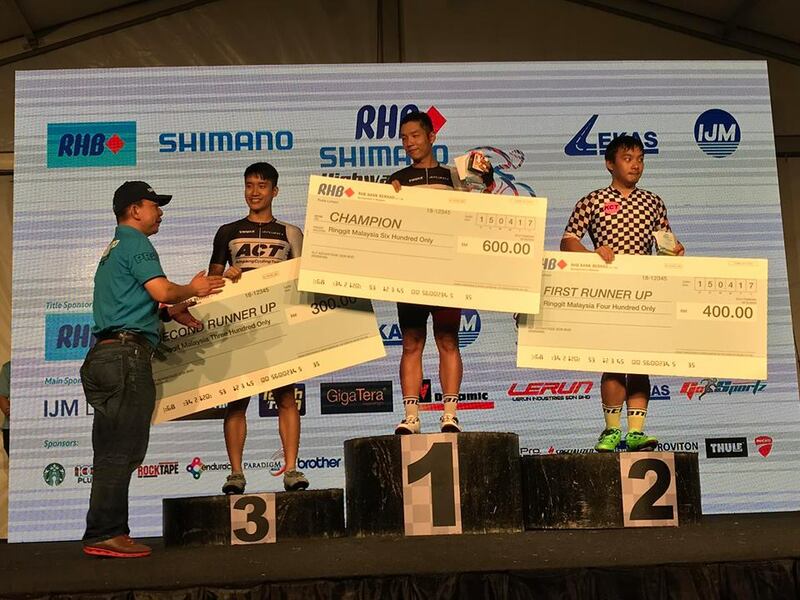 In the 78km category, Ng Yong Li won the Men’s Open title and KOM while ACT teammate Yim Wai Soon finished third. 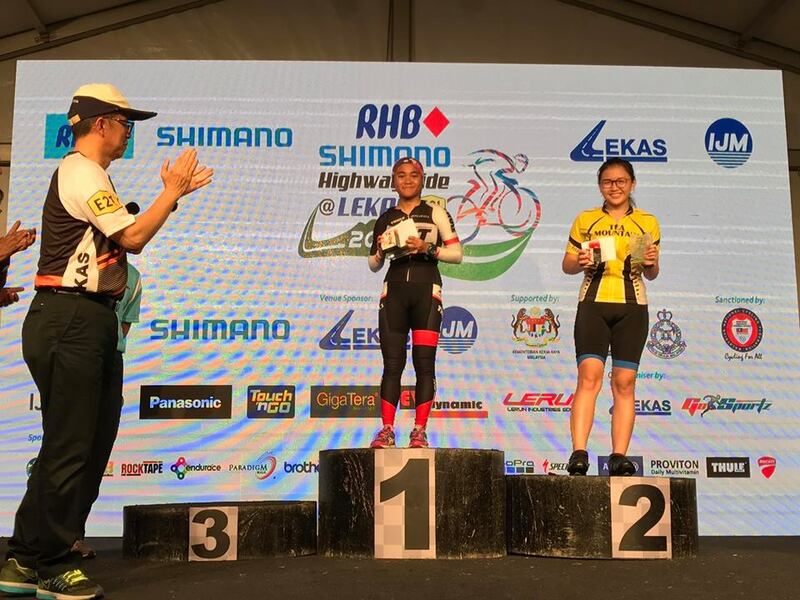 The team also swooped the champion and KOM title of the Young Adults Women in Shahrifah Nur Liyana, showing great potential in this sport. 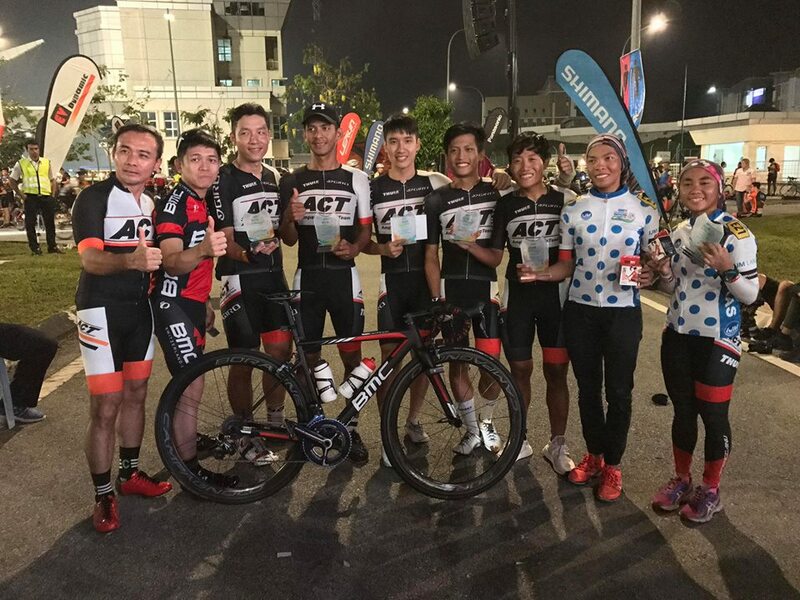 LEKAS, a dual three-lane highway which connects Kajang, Selangor to Seremban, Negeri Sembilan had ensured a full road closure for the event, and a fully LED-lit highway, allowing cyclists to enjoy a smooth and safe ride on the road for the fourth time since the race began.